Nacro has called for an end to Friday prison releases because of the time constraints they place on prisoners. Being released on Friday leaves prisoners minimal time to access vital housing, employment and benefits services before they close for the weekend. This can result in people not being able to collect medication, having to sleep rough and survive on a £46 discharge grant until services reopen on Monday. 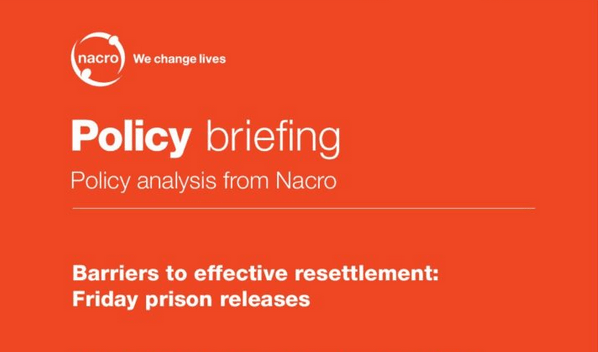 The Briefing is the first in a series from Nacro looking at practical challenges to effective resettlement for people leaving prison and put forward cost effective solutions.